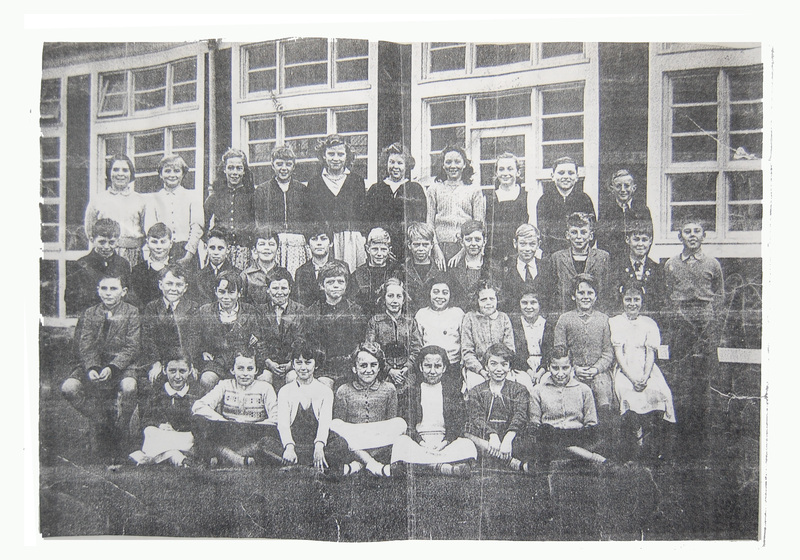 This photo is of Manorway Junior School and we don’t know which year it was taken. Can you help us with this? Any names, dates would be really helpful. Alison Nicholls, did your mum used to live in Burns Place when she was young, as I think I may know her? My single name was Hollands and we lived at no 27. Top row 4th from right my sister Sandra Gibbons, 2nd from right Charlie Eldridge, on end Ronnie Atkinson. 3rd Row. 3rd from left Dave Grant next to Roy Bridgehouse. Bottom row centre Norma Bass next to Peggy Hitchcock and Sandra Wakeling. Hope that this helps. That’s my sister, Sandra in the front row, second in from the right. She has been Sandra Constable since 1964. 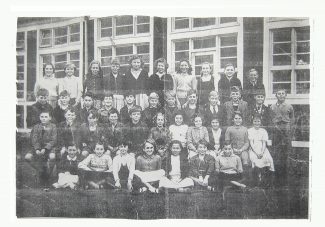 I was at Manorway Primary from 1953-1959. I started Manorway in 1956, but would have still been in the Infants at that time. I don’t know any of the children in the picture, but all the surnames are very familiar, I would have known their younger brothers and sisters. My maiden name was Bloss. Okay lets name a few of them back row left to right ? ? ? Linda Humphrys ? Sandra Lambert ? ? Charlie Eldridge, Ronnie Atkinson. Third row left to right. Keeble twin, Terry Downman,Billy Mansfield, Monty Hale, ? ? John Shovlar, Barry Brooks, Cliff Cowin, Paul Carter. Second row left to right Lenny Bushell, John Hardcastle, David Grant, Roy Bridgehouse, Terry Sutcliffe ? ? ? ? ? ? Front row left to right, ? ? Valerie Langham, Norma Bass, Peggy Hitchcock, Sandra Wakeling, ? Sorry about that. You can now click on the photo to get to a larger version. Thanks John. I can see it now. I would say the picture is around 1956. I am in the picture and I was born in 1946. The pupils would have been about 10 years old just before going to St. Chads. These look like my classmates, but I don’t know why I am not in the picture. I did have a lot of sick days because I hated school. Funny how I became a college professor in Canada! Names escape me, but I think the fourth from the left in the back row is Robert Shovlar, and the fifth is Sally Ryder. I would think it would be more like 1959/60. There are some more photographs in the Manorway section on Friends Reunited, one of which includes me!